Replacement gearbox frame for GWS LPS drive systems. Replacement gear case/motor mount and 4 screws for type A-F IPS single motors. 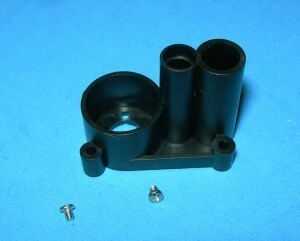 Replacement gear case/motor mount and 4 screws for type A-F IPS dual motors. Replacement gear box frame/case motor mount for EPS 100 Power Systems. Replacement gear case/motor mount for 280 Power Systems.